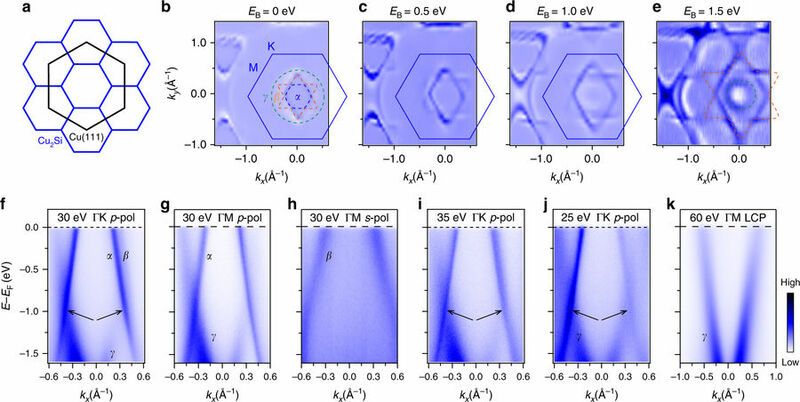 Topological nodal line semimetals, a novel quantum state of materials, possess topologically nontrivial valence and conduction bands that touch at a line near the Fermi level. The exotic band structure can lead to various novel properties, such as long-range Coulomb interaction and flat Landau levels. Recently, topological nodal lines have been observed in several bulk materials, such as PtSn4, ZrSiS, TlTaSe2 and PbTaSe2. However, in two-dimensional materials, experimental research on nodal line fermions is still lacking. Here, we report the discovery of two-dimensional Dirac nodal line fermions in monolayer Cu2Si based on combined theoretical calculations and angle-resolved photoemission spectroscopy measurements. The Dirac nodal lines in Cu2Si form two concentric loops centred around the Γ point and are protected by mirror reflection symmetry. Our results establish Cu2Si as a platform to study the novel physical properties in two-dimensional Dirac materials and provide opportunities to realize high-speed low-dissipation devices.